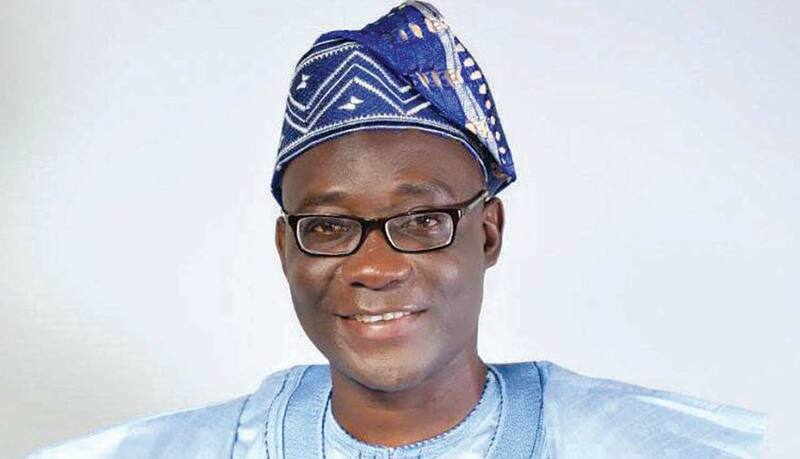 The Deputy Governor of Ekiti State, Prof. Kolapo Olusola, who was the Peoples Democratic Party (PDP) gubernatorial candidate in the recently held governorship election in Ekiti State, has voiced out his frustration about the Independent National Electoral Commission (INEC’s) inability to oblige him with the Certified True Copies (CTCs) of the July 14, 2018, poll. Drawing from the statement of the gubernatorial candidate who posited that he had requested and paid for the Certified True Copies of the results, both at the state branch of INEC and the national headquarters, it is disheartening and disappointing that INEC is yet to make the Certified True Copies of the results available to him almost two week after the announcement of the result. 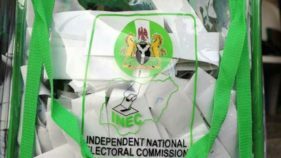 If INEC could compile or collate the results of all the electoral polling booths, units, wards, councils, zones and finally to the state level within 24 or 48 hours to announce the result, what could be holding INEC from releasing the Certified True Copies to contestants or petitioners two weeks after the announcement of the result? INEC seems to constitute the worst challenge to free, fair and credible election in Nigeria, especially since 2015. INEC is supposed to be an unbiased arbiter or referee in issues that concern election, but regrettable, recent experiences had brought to the fore the partisanship of INEC. INEC, as an institution or agency of government, has a constitutional role to play as specified by the Constitution of the Federal Republic of Nigeria and the Electoral Act. A situation whereby a contestant of a political party registered by INEC is contesting an election with INEC as an opponent instead of other political parties wherein INEC ought to be the referee is very dangerous to democracy. It is akin to Nigeria’s Super Eagles playing against Argentina in which the referee is an Argentine. INEC should not lay a very dangerous precedent or template because no government will last forever. Professor Olusola paid to INEC to have access to the Certified True Copies of an election INEC declared its result almost two weeks ago, yet INEC is prevaricating to grant him his request. Is INEC trying to doctor the result? Does it mean INEC announced an unprepared result? This same thing happened during the gubernatorial election in Edo State in 2017. I dare say that INEC will also apply the same template in the forthcoming gubernatorial election in Osun State. The Constitution of the Federal Republic of Nigeria and the Electoral Act make it mandatory for a petitioner to file his /her petition within 21 days after the announcement of the result. If the Constitution and the Electoral Act could limit the time frame for filing of election petition, it has become expedient for the both chambers of the National Assembly to amend the Constitution and the Electoral Act with a view to compelling INEC to make the Certified True Copies of election results available to contestants or petitioners NOT later than Seven days after the announcement of the result. This is to enable a petitioner use the remaining 14 days to study the results and file his/her petition to the Election Petition Tribunal. A situation whereby a petitioner has not received the Certified True Copies 14 days after the announcement of the result as lamented by Prof. Olusola limits him to only seven days to study the voluminous results and file his petition to the Election Petition Tribunal. From my cursory observation, the pattern INEC used in Edo State is what it is using in Ekiti State now. 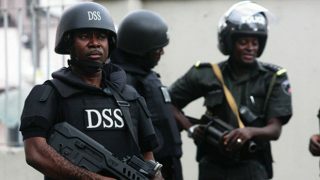 The PDP candidate in Edo State gubernatorial election, Pastor Osagie Ize-Iyamu lamented about INEC’s deliberate delay in granting him access to the Certified True Copies of the results, and INEC only released the results to him few days to the expiration of the mandatory 21 days to file his petition thereby limiting his time to study the results. His petition failed largely due to time constraint to file a comprehensive petition. The same method is being re-enacted in Ekiti State. INEC should not make itself a political party or on interested party in an election it superintends over. INEC is funded with tax payers’ money and should be an unbiased arbiter. The relevant committees of the Senate and the House of Representatives should strengthen Nigeria’s democracy by limiting the time frame for INEC to make available the Certified True Copies of results to contestants, which I suggest should not be more than seven days after the announcement of the result. 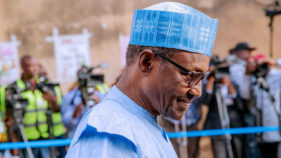 Nigeria’s democracy will keep moving around in vicious circle if INEC does not wean itself of partisanship or dancing to the tunes of the government in power. The precedent or template this present INEC is setting may be used against the present beneficiaries tomorrow if an evil one is set. The onus is on the National Assembly to quickly amend the Constitution and the Electoral Act to check INEC’s indefinite time frame to make available the Certified True Copies to petitioners and contestants, especially as 2019 general election approaches. Maduako wrote from Owerri, Anambra State.